Marty, Doc, and the entire Back to the Future: The Game crew is heading straight for the PlayStation Network next week. The Telltale Games designed title, which was released at the end of last year for the PC, is the first installment of what will be a 5-episode series. The first episode launches for the PlayStation Network on February 15 and the subsequent episodes will launch monthly starting in March. Telltale is selling the game(s) in a subscription style format, charging $19.99 for the entire 5-game “season”. The title will also be hitting the iPad later in the month. 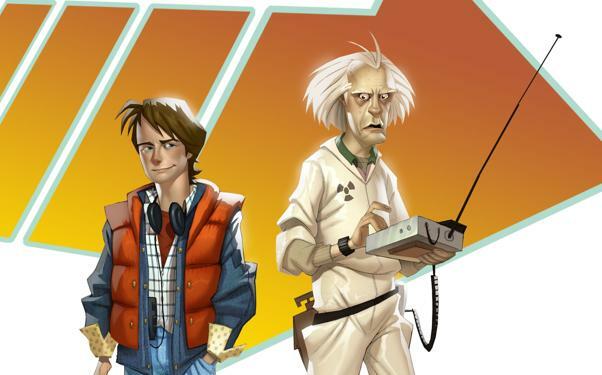 Back to the Future: The Game is a graphic adventure game. Players take control of Marty McFly and navigate through various environments from the motion picture and interact with objects and other characters. Most of the gameplay focuses on the solving of puzzles and collecting information from different people in order to progress to the next area(s). If you have played a Telltale adventure game, you know what to expect (and that isn’t a bad thing).